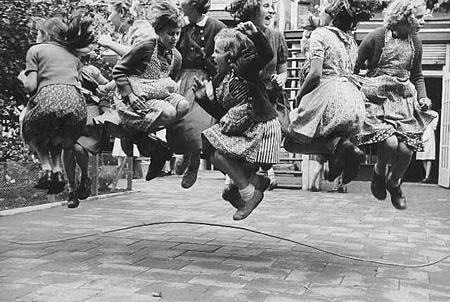 Do you ever dream about your childhood and all those games you played and how fun it used to be? I do. And sometimes I wish I’d live it all over again. Now. Live my childhood as an adult. Luckily I have my kids to help get the impossible possible. Oh, those young years! What a bliss! I am still young nough to do childish things, but I never have the time! This definetly makes me want to dig up all the skipping games and rhymes I used to know. I miss those halcyon days! 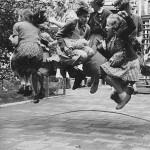 I used to love double dutch and jumpsies! – THANKS for showing us this! I’m so glad you like it! I guess it’s the point of sharing! Thank you for sharing back your thoughts!